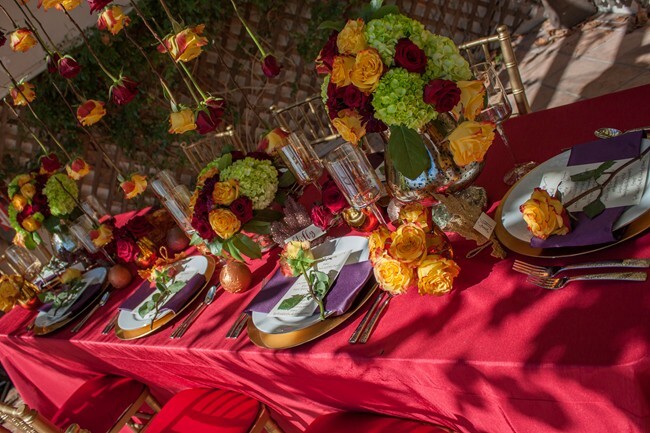 I thought it was the perfect time to feature this red rose styled wedding shoot. 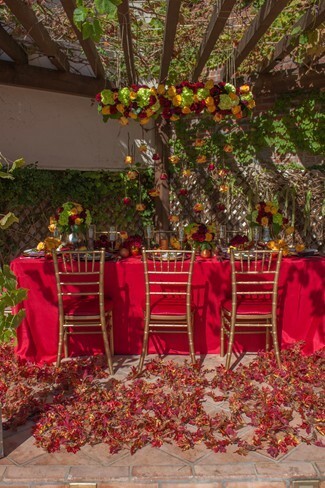 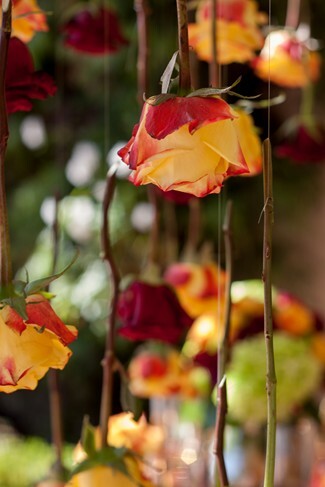 Not only does it remind us of the fall season and all its fiery colors, but it has romance written all over it! 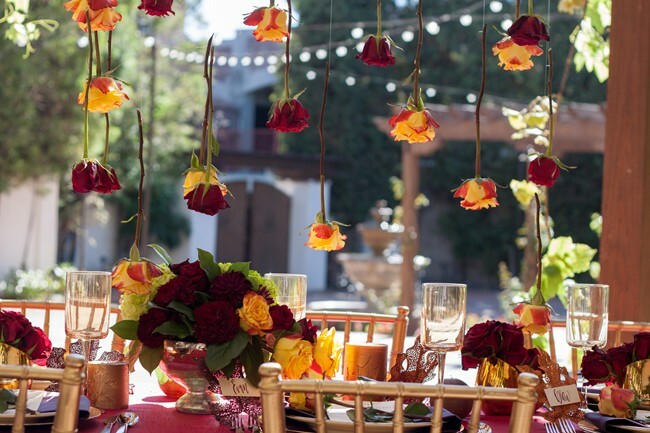 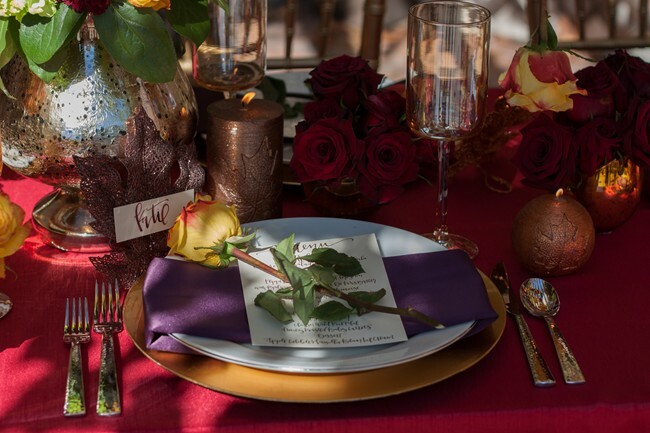 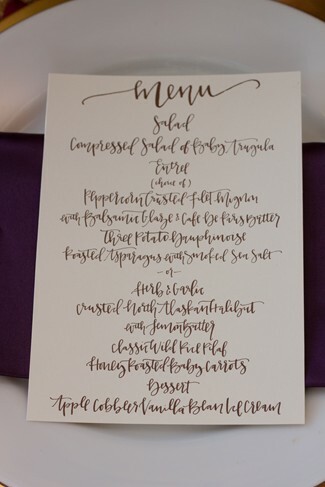 A perfect tablescape for both a fall wedding reception or a romantic Valentines Day dinner. 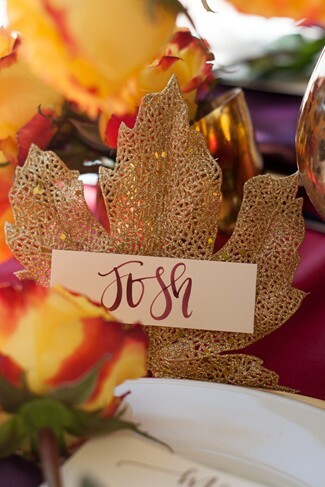 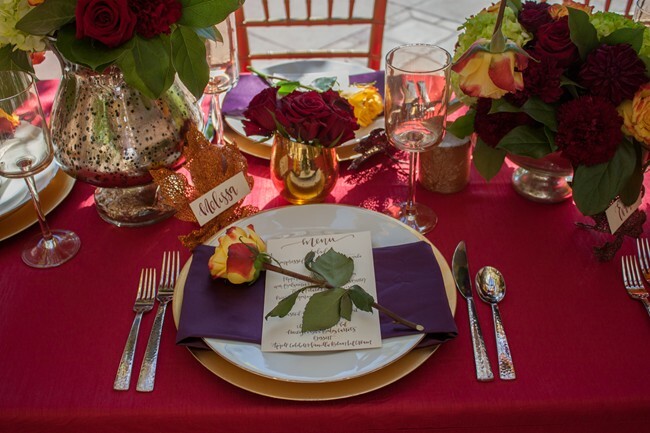 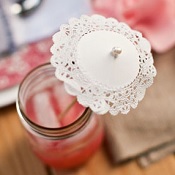 Maple leaf place card holders bring such elegance to this tablescape. 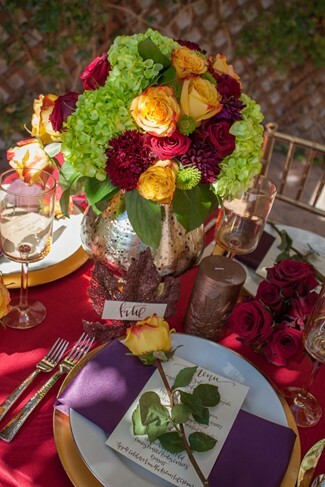 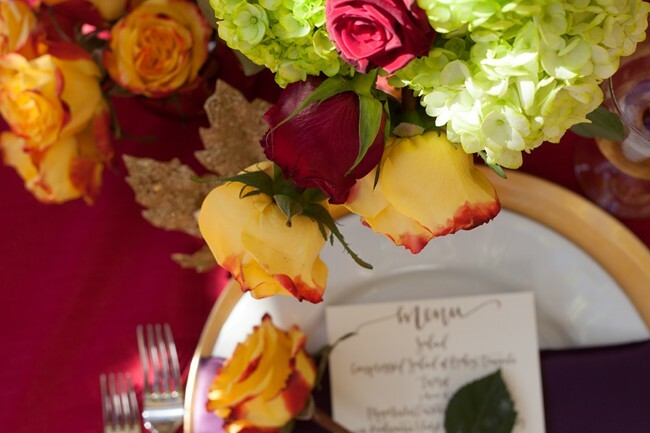 This is a beautiful table covered with gorgeous florals. 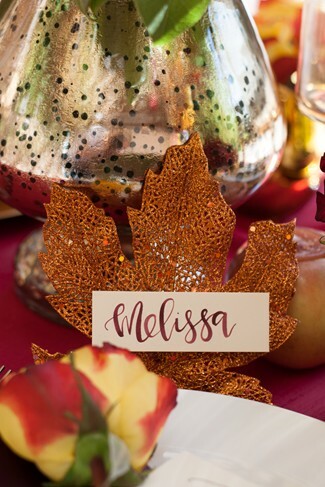 I adore the glamor of the leaf name placements, too.